Since the 1990s, a group of dedicated Los Angeles County Sheriff's Department deputies have been testing less-lethal weapons to see if they would be effective for any of the department's missions, including patrol, corrections, and crowd control. Thirty-year LASD veteran Sgt. Timothy Klement now runs the program and operates it out of the department's Custody Force Training and Standards Bureau. 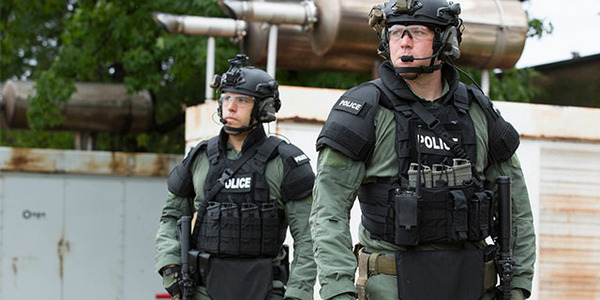 And he's been testing less-lethal products for nearly two decades. Which means he's seen and experimented with some really strange gadgets. 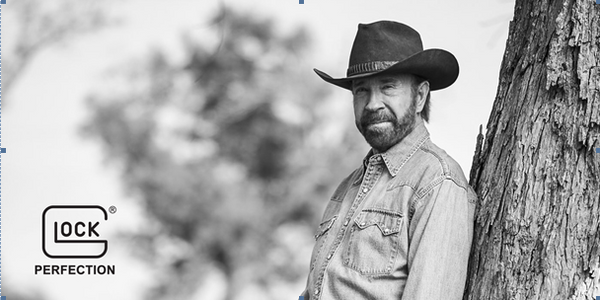 Some of the strangest include a gun that fired a capture net and his least favorite, a malodorant crowd control product. Klement is not a fan of either. His unit's testing showed them to be impractical for LASD use. But the sergeant reserves his strongest criticism for using malodorant as a crowd control device. "The hope is the odor will cause people to leave," he says. "But the problem is decontamination." The LASD realized very quickly that businesses and homeowners in Los Angeles County would not appreciate the police spraying a foul-smelling and long-lasting substance on their property. "It was almost dry heaves bad," Klement says of the smell. If Klement's comment leads you to believe that this LASD unit gains appreciation of the capabilities of new less-lethal tools by trying them on themselves as guinea pigs, then go with it because it's accurate. Klement himself has often been the test target. "I have been hit by all the different Axon TASER products, including the XREP projectile," he says. He's also been hit with nets, projectiles, aerosols, and that stinky malodorant. 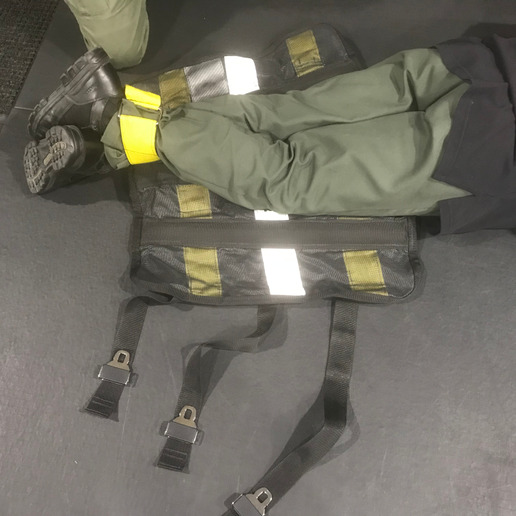 The items the unit has tested so far for 2019 have been much more practical for the LASD's missions than some of the oddball items that were tested in the past. 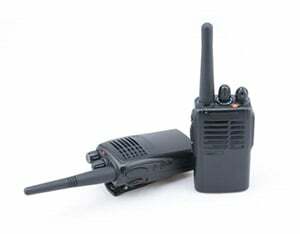 Late last year Axon (www.axon.com) approached Klement about its new TASER 7 conducted energy weapon (CEW). The TASER 7 debuted at the International Association of Chiefs of Police show last October, and it features a new spiral dart design and new electronic hardware. Axon says the spiral darts fly straighter and faster than previous TASER darts, and they also hit with double the kinetic energy. 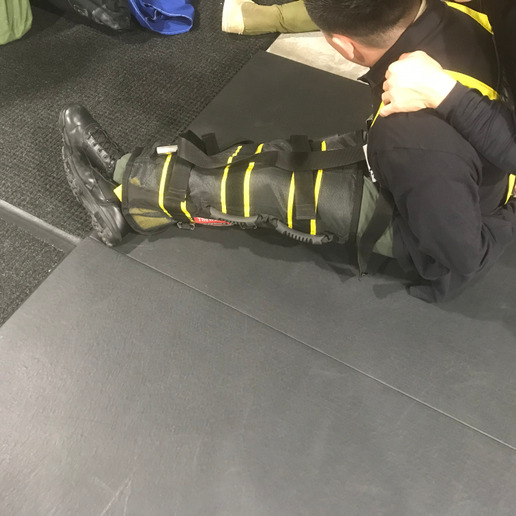 "They are designed to hit and stick and overcome clothing issues," Klement says. 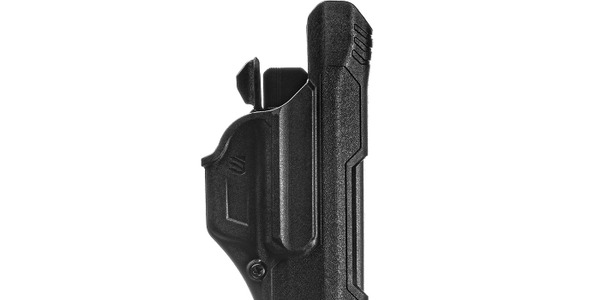 On the electronic side, the TASER 7 is a smart weapon that calibrates itself for more consistent output. Axon says the TASER 7 features new Rapid Arc Technology with a refined pulse output that is both safer and more effective. LASD's testing of the TASER 7 is ongoing, according to Klement. He says the department currently carries the X26, but it is considering a move to the TASER 7. 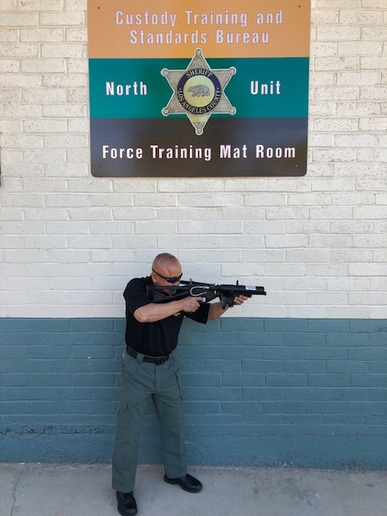 Klement says some of the most effective tools in the LASD's less-lethal arsenal are projectile launchers, and the agency is always searching for better launchers for both patrol and corrections. 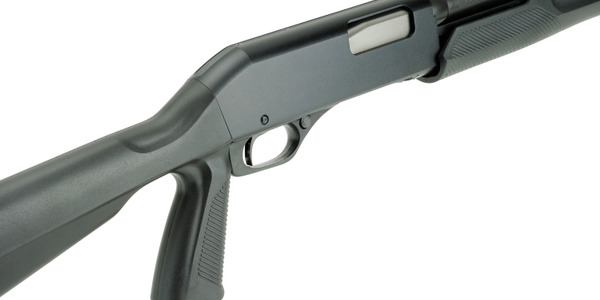 Recent test subjects include: the Sage Deuce, the Pepperball VKS, and the FN 303. The Sage Deuce (www.sageinternationalltd.com) is a double-barreled 37mm or 40mm launcher with an over-under design. Klement says he believes the double shot capability of the Sage Deuce may be especially effective in patrol. 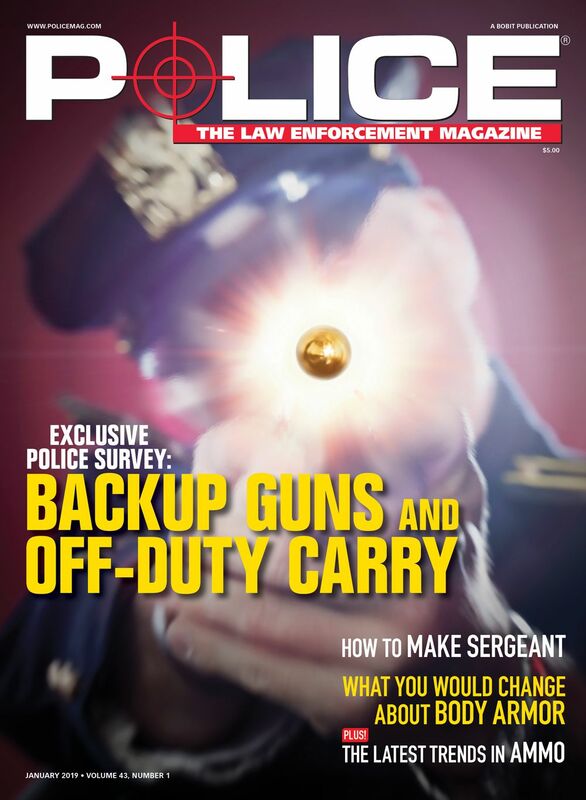 "A lot of times officers don't have the opportunity to get a second shot off from a single-barreled launcher when they need to," he explains. Klement says the goal is to find an "option for patrol that will allow them to deal with a situation quicker" before it escalates. Pepperball's VKS (www.pepperball.com) looks a lot like an AR, except it is brightly colored to signify its less-lethal mission. Klement says that design could be a plus or minus in the field. "It could produce a force multiplier effect on some people," he says. VKS rounds are .68 caliber fin stabilized and conical for better aerodynamics than round paintball-type projectiles. "It has higher impact," Klement says. 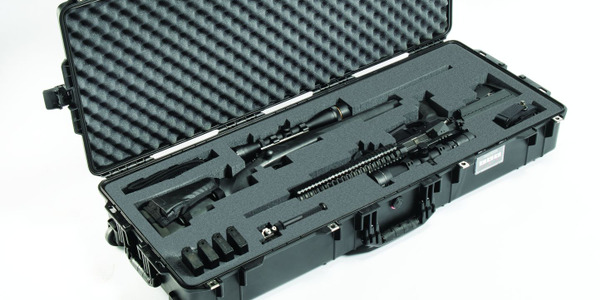 FN's 303 (https://fnamerica.com) is being tested by Klement's team for use in the jails. The problem, according to Klement, is that inmates are getting into fights and they have learned to avoid the area near the bars where deputies can spray them with OC. That is resulting in greater injuries to inmates who are attacked and to deputies who have to wade into the melees. The FN 303 was tested in the jails and soon inmates who were hit with its fin-stabilized projectiles told other inmates how much pain it causes. The result has been much shorter fights. One of the products that Klement is most excited about is not a weapon at all but a restraint device that could make both inmates and deputies safer in the jails. 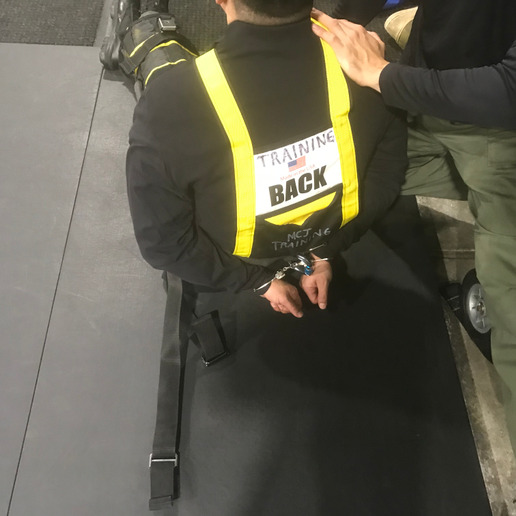 The Wrap from Safe Restraints (www.saferestraints.com) is a multi-part system that can make it nearly impossible for a handcuffed inmate to resist deputies. "We've gone hands on and we need to keep this person under control," Klement explains. He says the Wrap is easy to use, can be quickly applied, and is "working wonderfully in the jails." Because of the positive reviews from Klement's test team and from deputies using it in the jails, the LASD is planning to buy the product. Like the other products tested by his unit, Klement has had first-hand experience of being secured in the Wrap. "I have to know these tools are going to work," he says. "If it doesn't work on me, it's not going to work on the offender."